Middle-eastern investment in the League Of Ireland appears only weeks away as Galway United close in on an audacious Saudi Arabian takeover, in what is being billed as one of the most significant developments ever in Irish football. RTÉ Sport understands the FAI supports the intended takeover of the First Division club, which became fully fan-owned last season. Subject to members' acceptance in that vote on Monday week, United will cede majority control to the investors who have experience in running and managing football clubs. They plan to invest in youth development and have ambitions to qualify for European Competitions. United representatives met with the investors last week to discuss plans. They were impressed, not only by their ambition, but also their commitment to putting resources into United's promising underage teams. 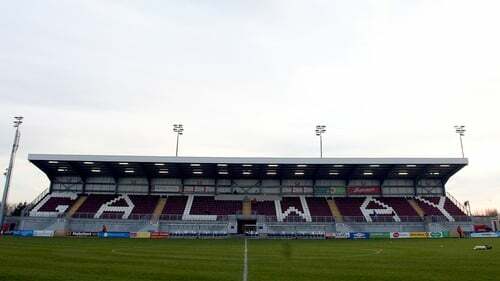 Galway United do not own Eamonn Deacy Park – it is owned by the Galway FA – while it also has no home ground for its under-15, under-17 and under-19 sides. Given the talented footballers the west has produced, and that only one other team (Sligo Rovers) represents the province, Galway United are considered huge underachievers. They were founded as Galway Rovers during the 1930s, made their League of Ireland debut in 1977 and changed their name to Galway United in 1981. After severe financial difficulties, the club dropped out of the League of Ireland after the 2011 season but in 2014 Galway United returned after initially playing as Galway FC for a season. In 2015, the club was re-named Galway United, but suffered relegation from the top flight last year. Despite high expectations, Shane Keegan's side has laboured this season, out of the playoff spots and facing a crucial game tonight against Finn Harps in Terryland.